Vintage Bingo 2015 Prize Winners! 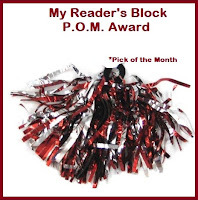 Read It Again, Sam 2015 Prize Winner! 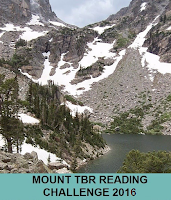 Final Mount TBR Checkpoint Winner! 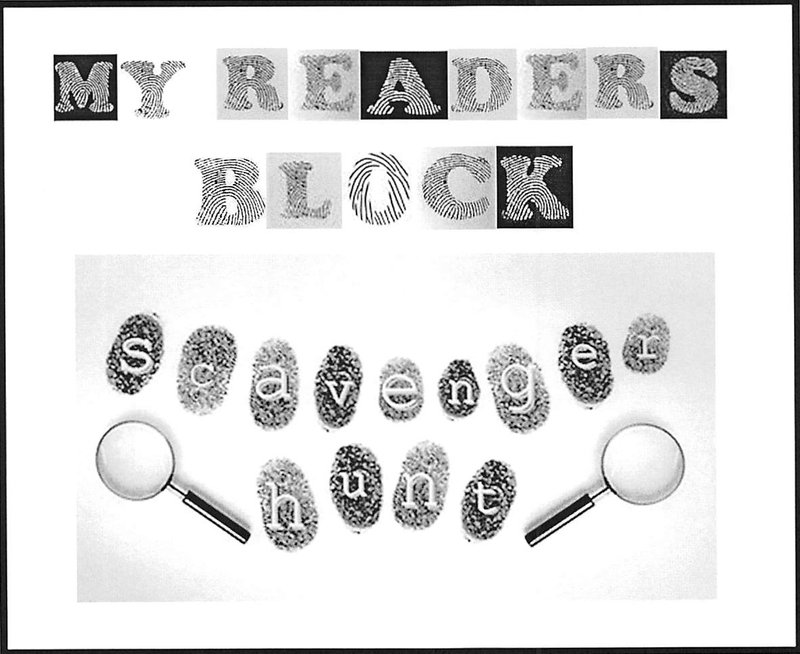 The image linky seems to be working well for the Vintage Scavenger Hunt Challenge. Thanks to everyone who has been linking up their covers! I've really enjoyed seeing the images that relate to the challenge. 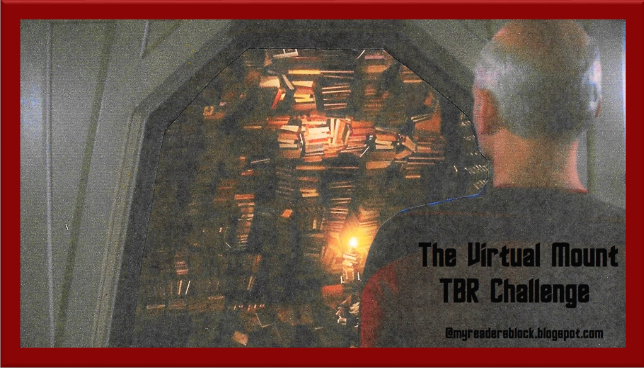 When Carl V over at Stainless Droppings posted his Sci-Fi Experience reading event in December. I umped in feet first and started lining up my SF reads. I took a wild guess and said that I would finish at least five by January 31st. And....I've done it! 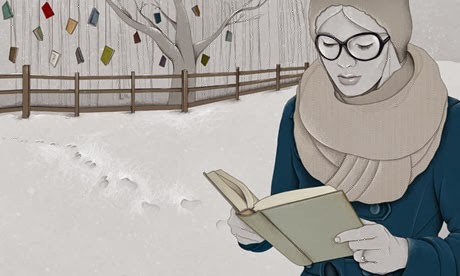 Throughout the month of January, 2012, 2013, 2014, 2015, 2016 I will be reading and discussing as much “older than I am” science fiction and fantasy that I can, and everyone is invited to join me! We’ll be talking about time travel, laser guns, early robotics, first contact, swords and sorcery, predictions for humanity and the authors who came up with it all. Haphazardly, the defining year for “vintage” is 1979. 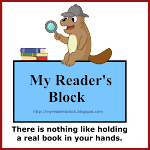 Read all about it here, here, and here and most recently here. 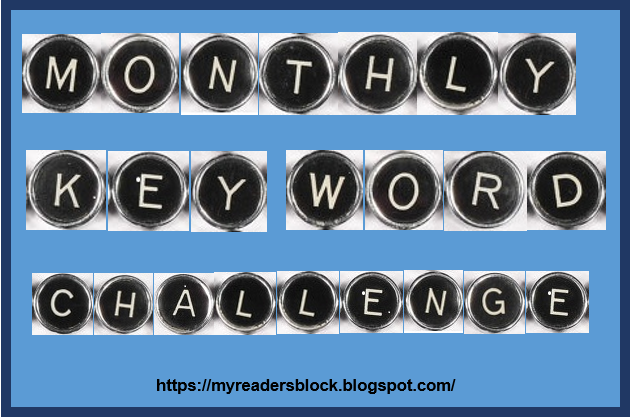 The only “rule” for this not-a-challenge is that your blog post must be during the month of January. You too, can be on red alert for the Interstellar Patrol by using the badge above in your posts, or blog side bar, or wherever you’d like. 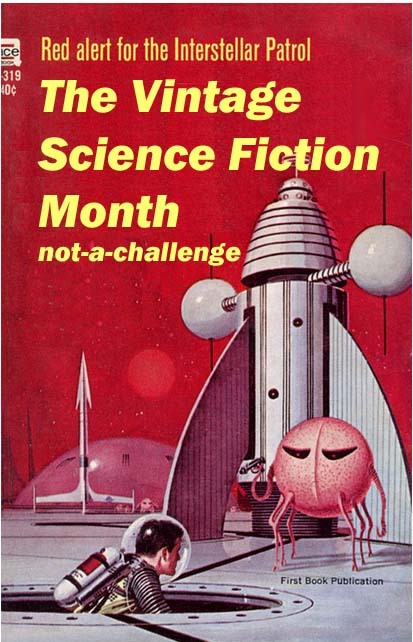 To Join: Go to the Vintage SciFi Not-a-Challenge site. Anything or anyone who created science fiction, or something speculative fiction-ish that was published (or recorded, or put on TV or the silver screen) before 1979. It can be hard scifi, or not. Have aliens, or not. Fantasy is OK too. Jules Verne is perfect, so is Mary Shelley. Or maybe War of the Worlds, original Star Trek, C.L. Moore, Isaac Asimov, Andre Norton, Cordwainer Smith, Clifford Simak, Ursula K. LeGuin, Kurt Vonnegut, James Tiptree Jr, A.E. van Vogt, Frank Herbert, I can go on forever here. When Redhead posted the 2016 version, I jumped right in for another round. 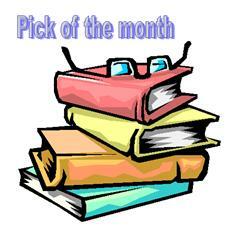 As in the past, my commitment was at least two science fiction reads in January. I even managed to sneak in an extra one! 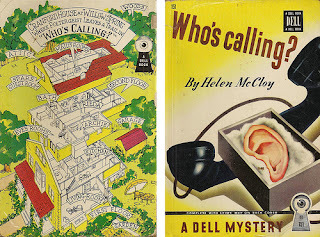 As we can see, the only four star winner in the mystery category this month is Helen Mccloy with Who's Calling, one of my Dell Mapback editions. It is, in part, about a poltergeist. A poltergeist who plays tricks on Archie Cranford's fiancee Frieda Frey. A poltergeist who calls her up and threatens mayhem if she comes to Willow Spring to meet Archie's mother and friends. A poltergeist who knocks on doors and disappears, who wrecks her guest room and writes messages in in lipstick, and who leaves ugly caricatures strewn about. I enjoyed both the psychological elements as well as the political commentary. One of the primary characters is Mark Lindsay, a senator who will soon be up for re-election. Lindsay is weary of the political scene--at least as he is forced to play it. And he gives us a nice peek at the way the politics of the day work (not so different from now). 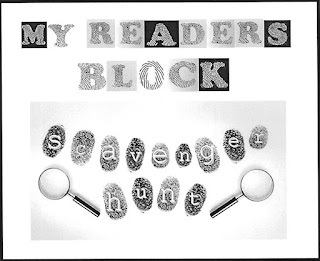 The mystery itself was entertaining and kept me thinking the entire time. McCloy provides interesting characters and Dr. Willing is always welcome as an investigator. Who's Calling (1942) by Helen McCloy is about a poltergeist. A poltergeist who plays tricks on Archie Cranford's fiancee Frieda Frey. A poltergeist who calls her up and threatens mayhem if she comes to Willow Spring to meet Archie's mother and friends. A poltergeist who knocks on doors and disappears, who wrecks her guest room and writes messages in in lipstick, and who leaves ugly caricatures strewn about. Who's Calling is also about the murder of Archie's foolish, vain cousin Chalkey Winchester. Winchester's only faults seems to be a selfish interest in creature comforts and a tendency to regale all within the sound of his voice with stories of his complicated health. His lust for rich, decadent foods prove his undoing when he can't resist chocolate liqueurs laced with strychnine. Dr. Basil Willing, McCloy's psychologist-sleuth, is convinced that the incidents are all connected and it is suggested that the culprit may be hidden in the most secure place possible--as a second personality within the psyche of one of the main characters. 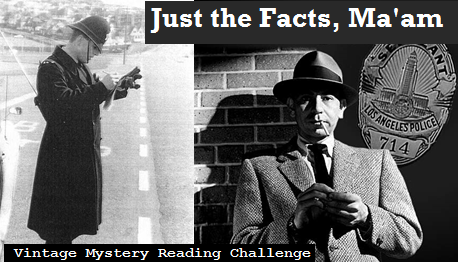 Is it possible to play tricks, travel, and even commit murder without knowing it? In Who's Calling? each person not only looks at those around them with suspicion....they also wind up suspecting themselves. I find Dr. Willing's hypothesis and final solution very interesting. I am reminded of the film Sybil--which we had to watch in psychology class in high school--and the multiple personality disorder which Flora Rheta Schreiber attributed to her patient. That case has since become controversial with various sources claiming that Schreiber and her patient fabricated most of the experiences. 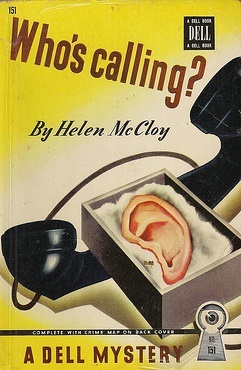 But in those formative years of psychology the reports of secondary or multiple personalities were given credence and it is interesting to see McCloy use the idea in her murder mystery. The final twist she gives to the solution brings in further elements of psychology--but I won't given an ultimate spoiler and ruin the ending. Lindsay would much prefer to give up the political arena. But his wife, who is the real power behind the senate seat, isn't having any. For more about Who's Calling? please visit Curtis at The Passing Tramp. Fulfills the "Telephone" category on the Golden Vintage Scavenger Hunt as well as "Poison" as the murder method in the Mystery Reporter Challenge. 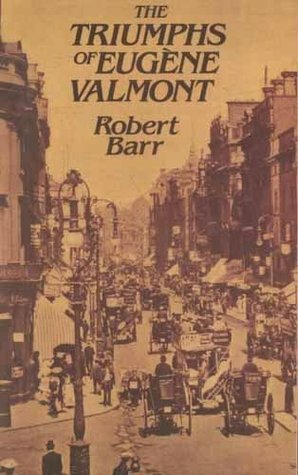 The irony of The Triumphs of Eugène Valmont (1906) by Robert Barr is that the book begins with Valmont's biggest failure and proceeds to relate various other incidents where Valmont does not exactly shine. Assigned to protect the legendary diamond necklace once destined for Marie Antoinette, Valmont's job is to ensure its safety until it has been sold at auction and is delivered toits new rightful owner. He is easily misdirected and defeated by an amateur and dismissed from the French police force. He is not dismissed because he failed. He is not dismissed because he arrested the wrong man. He is dismissed because he made France the laughingstock of Europe. 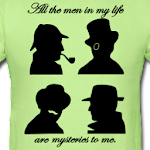 Other adventures include infiltrating an anarchist group and substituting a spectacular firework for a bomb (one of the few escapades that actually goes well); the discovery of an ingenious fraud that results in his paying the criminals five shillings a week; helping the wrong man escape prison; helping to commit a murder; and having the wool pulled over his eyes by a pair of young lovers. 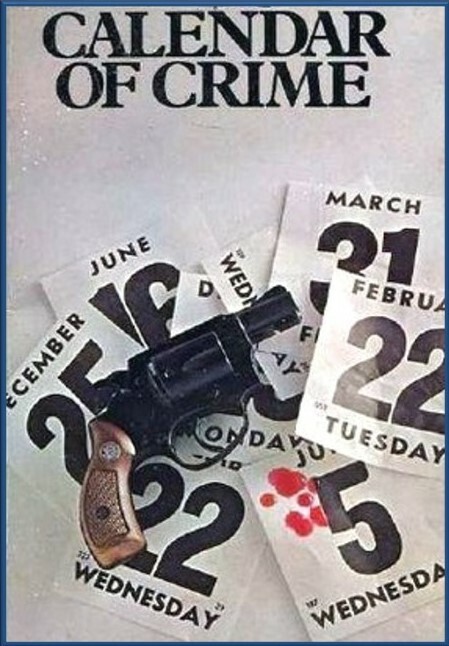 Valmont is credited by various crime fiction authorities as "the first, most important humorous detective in English literature" (Steinbrummer & Penzler, Encyclopedia of Mystery and Detection). While it is true that I can see some elements of the pompous yet bumbling Inspector Clouseau in Valmont, I can't say that the humor is all that striking. Valmont is incredibly long-winded and repetitive in his narrative. And the irony of his inflated sense of his abilities doesn't provide the sense of the comic that one might expect. This counts for the "Town Scene" category on the Golden Scavenger Hunt. 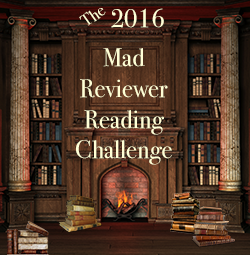 The Mad Reviewer Reading Challenge is to read and review (either on Goodreads, Amazon or your own blog) 104 books in one year starting January 1, 2016 and ending December 31, 2016. She also has a full set of rules at the sign-up link. 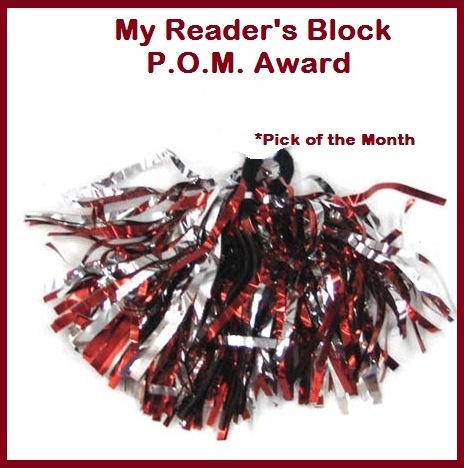 Head on over and check it out!